Most of the RECON network was clouded, rained, or snowed out during our last event on December 11, 2016. 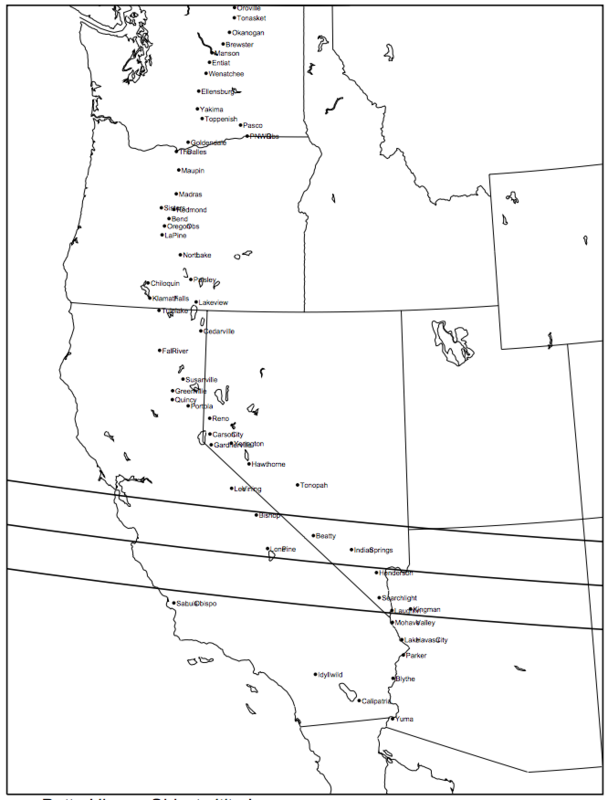 A handful of sites in Southern Oregon/Northern California and Southern California/Arizona were able to record the star field and are uploading their video data for analysis, but the campaign was definitely limited by poor sky conditions for this final campaign of the 2016 calendar year. Given the challenges that the network has had with clouds and such, we wanted to announce two promising optional campaigns in early January, which are also great practice opportunities to prepare for our next official campaign later next month. Looking forward to 2017, our next full network campaign will be Monday evening, January 23 around 9:51PM PST / 10:51PM MST. With a 1-sigma uncertainty of just over 1,100 km, this campaign involving Centaur (471512) 12CG is our highest probability TNO opportunity for the month of January at 36%. We will be creating an event page shortly, and the sign-up form for this official campaign will go live on December 23. Estimated as somewhere between 220-550 km in diameter, the shadow path of large Classical KBO (79360) Sila-Nunam is predicted to pass over the RECON network, with a 1-sigma uncertainty of just over 2,000 km. 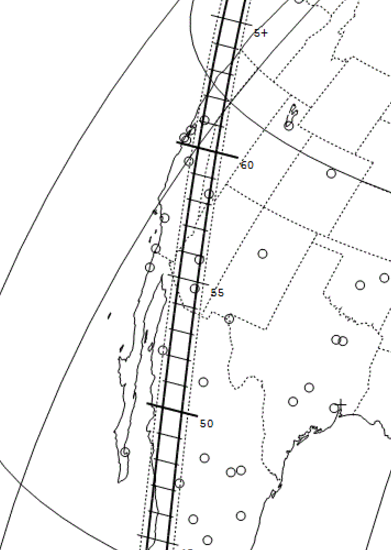 If the shadow does pass over RECON, we will definitely detect it even if not all telescope sites are able to observe the event occurring roughly 24 hours into the New Year. We strongly encourage any and all teams that are up for this event to give it a go, especially if weather forecasts look good. However, we didn’t want to push the network too hard after our Thanksgiving campaign event, so this will be an optional event. You will be able to sign up for this optional RECON event starting next week. 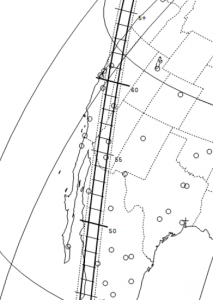 Equally exciting is a unique multi-chord opportunity involving Main Belt Asteroid (362) Havnia on Friday evening, January 6, around 10:45PM PST / 11:45PM MST. As shown on the IOTA prediction map to the left, the slow-moving shadow will travel from south to north. 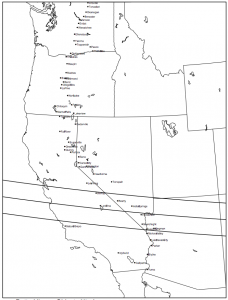 Depending upon how far west or east the shadow lands, all RECON sites in Arizona, California, Nevada, and possibly Oregon can help contribute to this multi-chord observation opportunity. Because the event will not involve telescope sites in Washington, we are announcing this as an optional regional campaign. Many IOTA members are planning to observe, and you are strongly encouraged to contribute this research effort and gain more practice time. You can sign up for this event using OccultWatcher, and a RECON sign-up form will also be available next week.